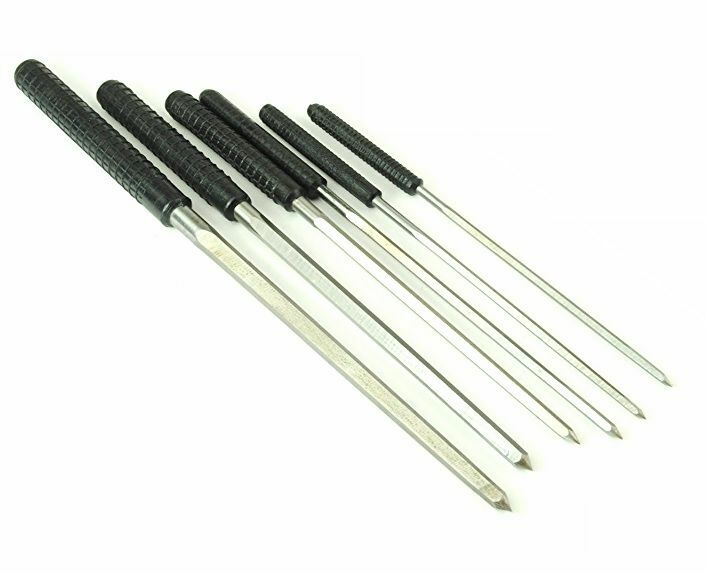 1 set x 6 cutting broaches, 2.40 - 6.20mm. The drill without the twist, great for enlarging holes without leaving a burr. Use a broach like a hand twist file to enlarge and align holes before using your tap and die tools. Ships in a pouch for convenient storage and carrying. 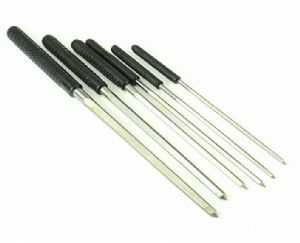 Plastic handles, regular tapered.